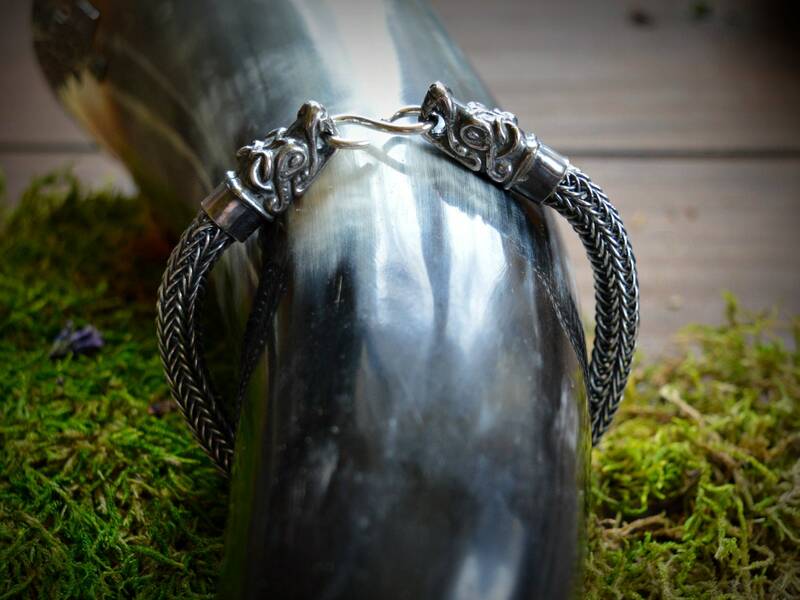 Beautiful, handmade, flexible silver Viking style bracele with dragon head terminals. Completely handmade in Viking knitting technique. 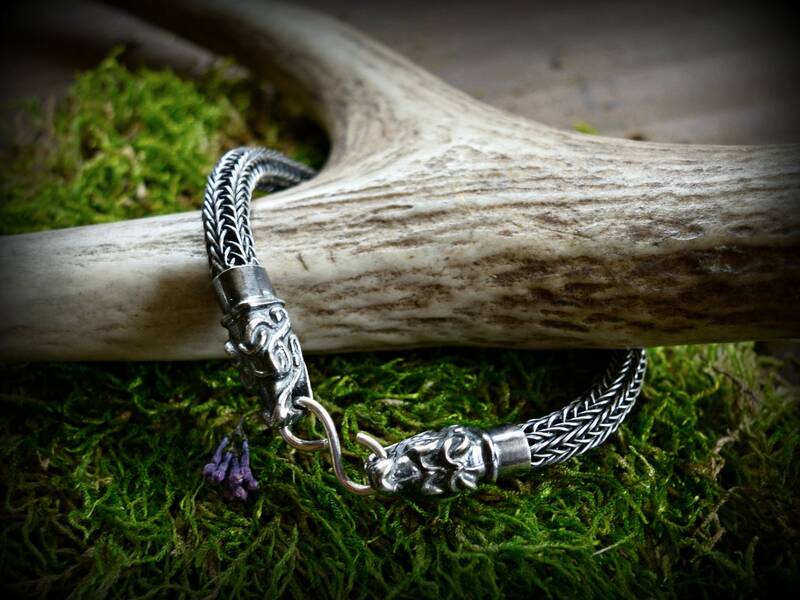 Impressive, completely handmade silver Viking style bracelet in bold weave and with amazing dragon head terminals. 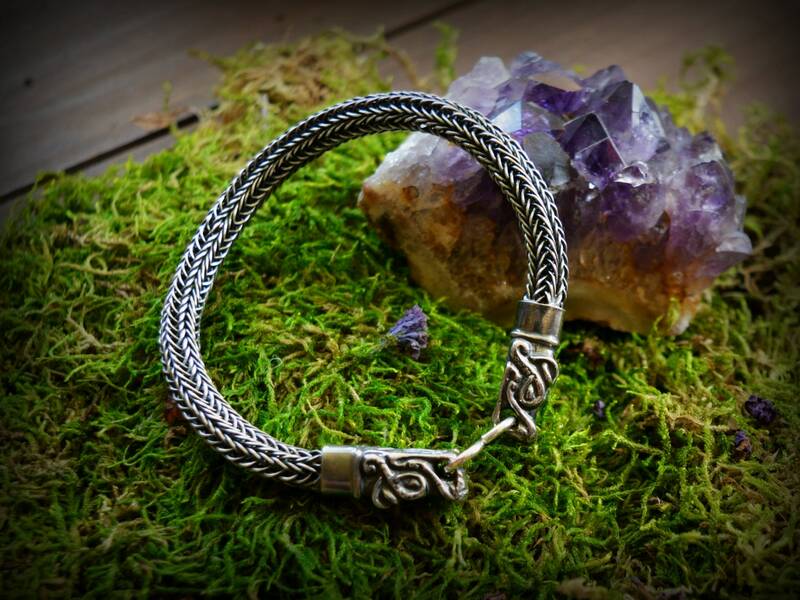 This silver armring was hand woven in time consuming so-called Viking knitting technique, ended with dragon heads modeled on bracelet terminals found in Gotland, Sweden (Viking period). This piece of jewelry brings so much of Old Norse symbolism : dragons are beast, which appears so offen in Viking mythology and art. The weave is made so meticulously, like it was made by the Norns from Viking Sagas. Size: bracelets best fits a wrist 19-20 cm in circumference (measured around the wrist).